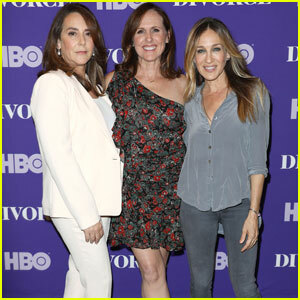 Sarah Jessica Parker & 'Divorce' Co-Stars Film Season 3! Production has officially begun on season three of HBO’s Divorce! 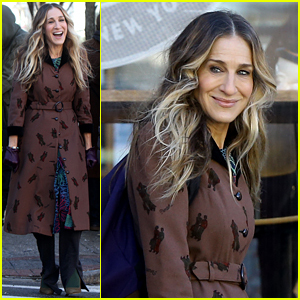 Sarah Jessica Parker and her co-stars Talia Balsam and Molly Shannon were spotted on set on Monday (January 14) in Tarrytown, New York. Sarah looked stylish in a printed coat with green tights and shoes and purple gloves. Sarah Jessica Parker stepped out for a Divorce Emmys event! The 53-year-old actress hit the red carpet at an HBO FYC event on Friday evening (June 1) at the Whitby Hotel in New York City. Sarah was joined by her co-stars Talia Balsam, Molly Shannon and Tracy Letts. The HBO series follows a couple as they struggle through a long, drawn out divorce. 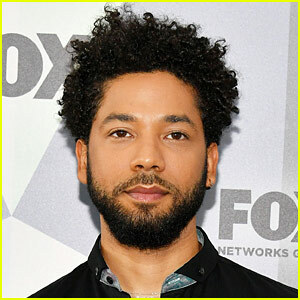 The show’s second season wrapped up in March but has not yet officially been renewed for a third season. Sarah Jessica Parker joins on-screen husband Thomas Haden Church at An Evening with the Cast of Divorce on Thursday night (February 8) at the Paley Center for Media. The 52-year-old actress went pretty in a black and white printed dress with blue heels for the event. Joining Sarah Jessica at the event were her other co-stars Molly Shannon, Talia Balsam, and Tracy Letts. New episodes of Divorce air on Sundays at 10/9c on HBO. Tina Fey poses on the red carpet at the 2017 New York Stage & Film Winter Gala on Tuesday (December 5) at Pier 60 at Chelsea Piers in New York City. The Emmy-winning actress was honored at the event alongside Audible founder Don Katz. Tina was supported at the event by the cast of the upcoming Mean Girls musical, which is heading to Broadway next year – Taylor Louderman (Regina George), Kate Rockwell (Karen Smith), Ashley Park (Gretchen Wieners), Erika Henningsen (Cady Heron), and Kerry Butler (Ms. Norbury). Some of the other celebs at the event included Tina‘s Unbreakable Kimmy Schmidt stars Ellie Kemper and Carol Kane. More stars in attendance were John Slattery and wife Talia Balsam, Peter Gallagher and daughter Kathryn Gallagher, Dana Delaney, Andrea Martin, Jennifer Westfeldt, and Broadway stars Corey Cott, Laura Osnes (with husband Nathan Johnson), Saycon Sengbloh, and Raul Esparza. FYI: Tina is wearing Pierre Hardy pumps.